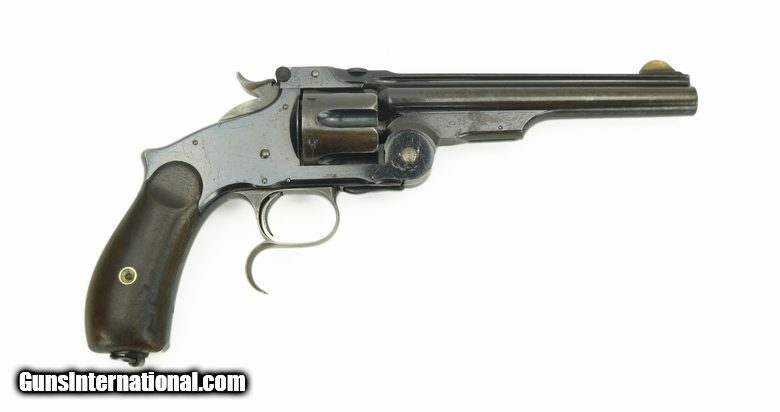 Smith & Wesson 3rd model Russian .44 Russian caliber revolver. 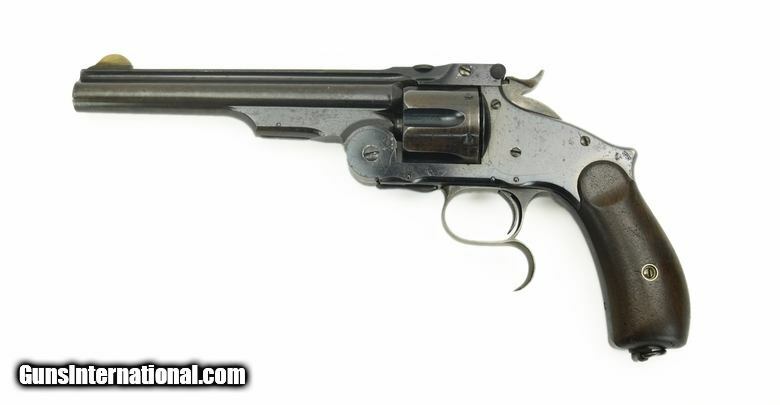 Barrel length is 6 ½”. Gun has approximately 60-70% original blue. Bore and action are excellent. Grips are very good with some dents. These Russian and American models are hard to find with nice blue like this one.